Faced with a new acquisition, PNC needed to move quickly to implement systems that would enable them to identify and assess customer risk. Having selected vendors to supply the matching engine and the database of heightened risk entities to scan against, PNC next turned its attention to finding a software provider that could analyze PNC’s client data to identify the most relevant, highest risk matches. Inherent in PNC’s requirements for a software provider were a deep understanding of customer data and a willingness to look for characteristics specific to PNC’s alerts. Plus, the software provider had to know how to bring alerts forward. PNC realized from the outset that the dynamic, iterative nature of this process meant they would be working closely with the selected provider. As such, they needed a robust solution and a strong responsive service partner. Thank you for your interest in our resources and insights. 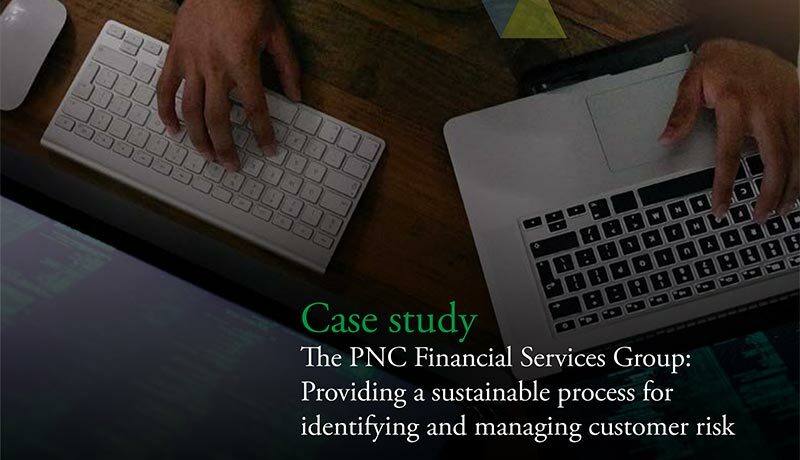 You can access “The PNC Financial Services Case Study” by clicking the link below.